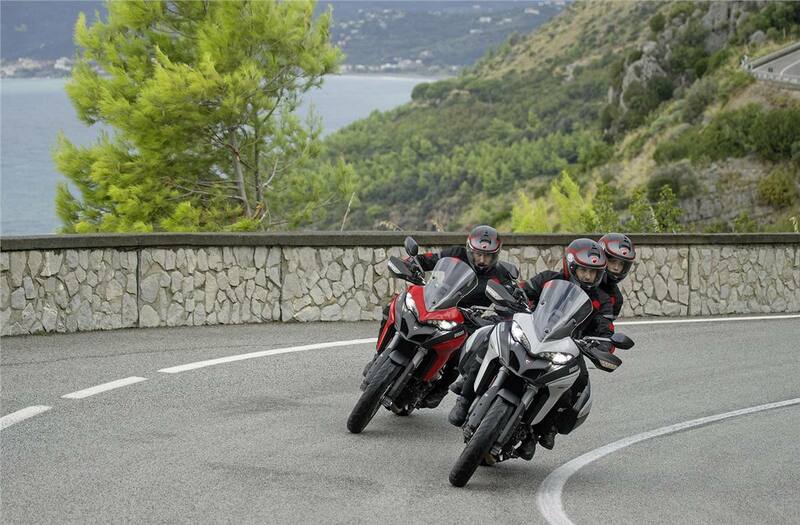 Super-technological and full-featured: For the first time, the Multistrada 950 is available in the S version: the maximum in terms of technology, performance and comfort. 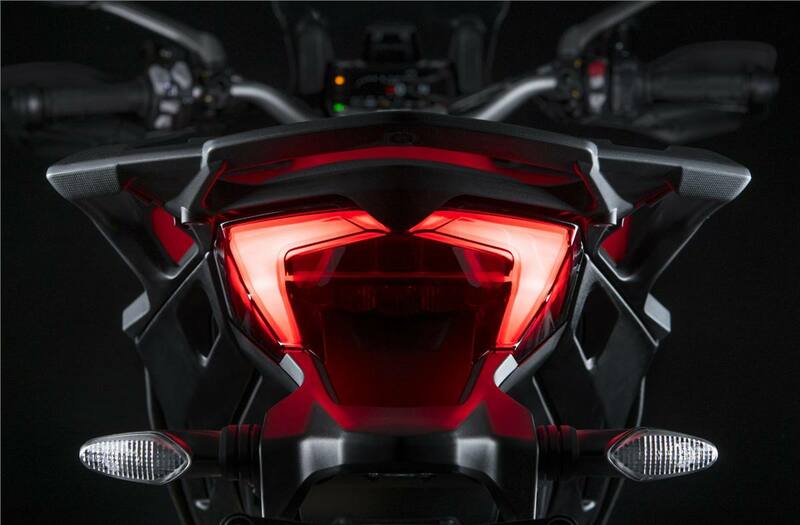 The bike is equipped with leading features including the Ducati Skyhook Suspension (DSS) Evo system, Ducati Quick Shift up & down (DQS), full-LED headlight with Ducati Cornering Lights (DCL), 5" color TFT display, Hands-FreeHands Free system, Cruise Control and backlit handlebar controls. 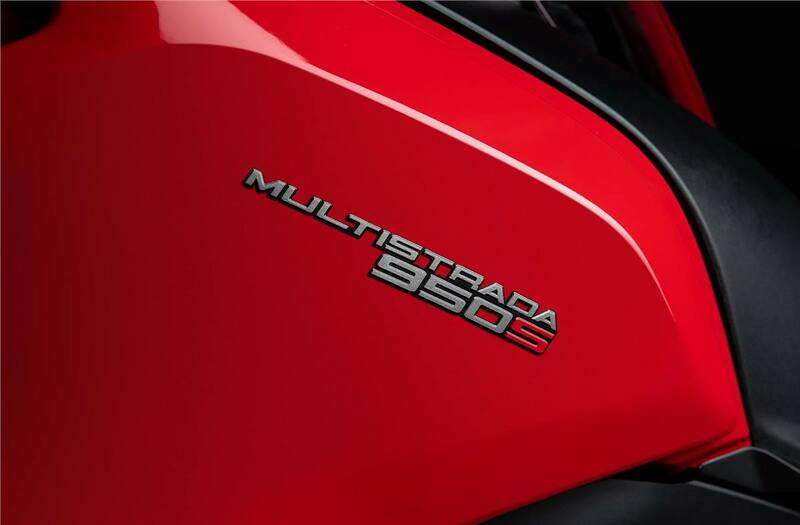 Italian style, innovative design: The design of the new Multistrada 950 harmoniously combines the stylistic elements of the Multistrada family and interprets them to achieve a sleek, compact line. The 19" front wheel, the unique front headlight with two horizontal elements, the new side wings, and the 20-liter tank give it a unique character. 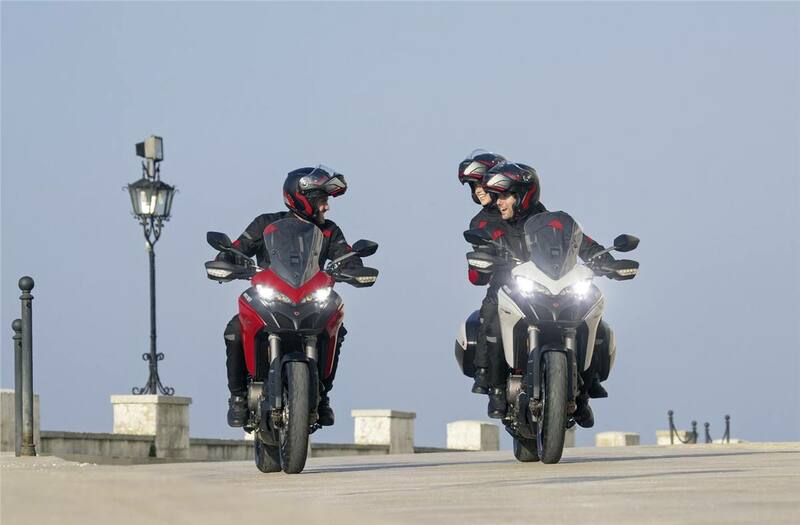 The lines of the new Multistrada 950 convey a sense of lightness thanks to the new light alloy or spoke rims, available for the S version. 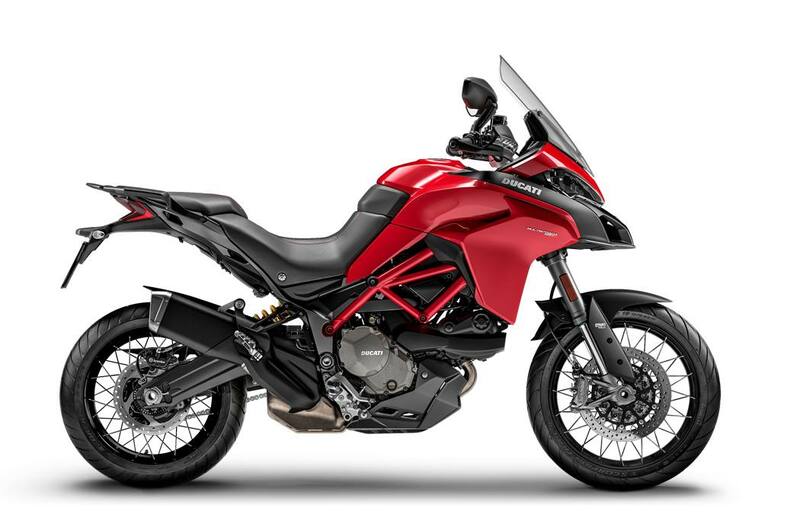 Power and Versatility: The new Multistrada 950 is fitted with a Testastretta 11° engine, a technical wonder displaying 113 hp, maximum torque of 9.8 kgm at 7,750 rpm and a slipper clutch that requires limited effort to use, perfect especially in city routes. 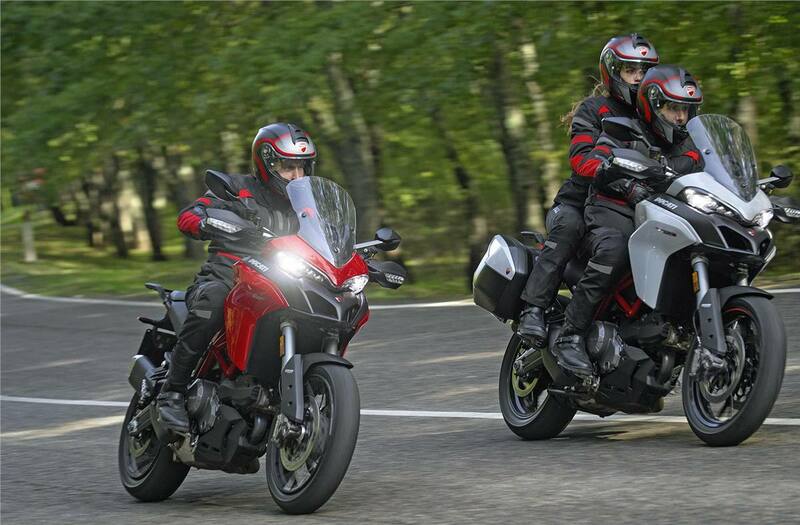 The DQS technology of the Testastretta 11° makes it possible to upshift and downshift without the clutch: so the new Multistrada 950 is perfect for sporty use and extremely comfortable in the city. 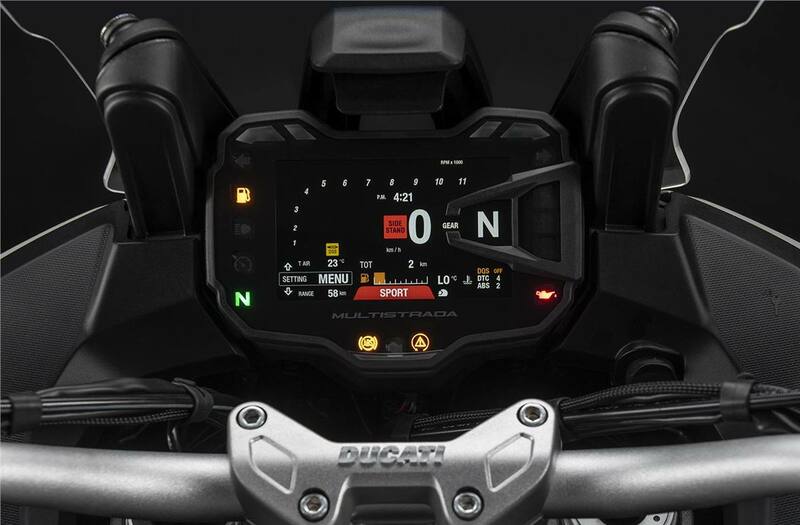 Electronics and Control: The Ducati Safety Pack includes ABS and Ducati Traction Control (DTC); it was further developed with IMU Bosch, which allows the application of the ABS Cornering function, ensuring improved safety in the curves. Furthermore, the combined braking system increases braking stability by optimally distributing the braking power between the front and rear. 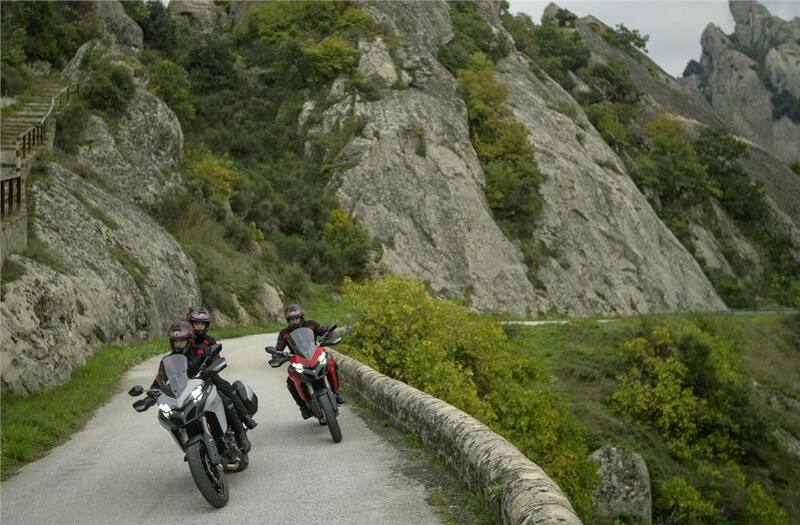 The new Multistrada 950 is equipped with Vehicle Hold Control for starting on hills without problems, even with a passenger and full panniers. 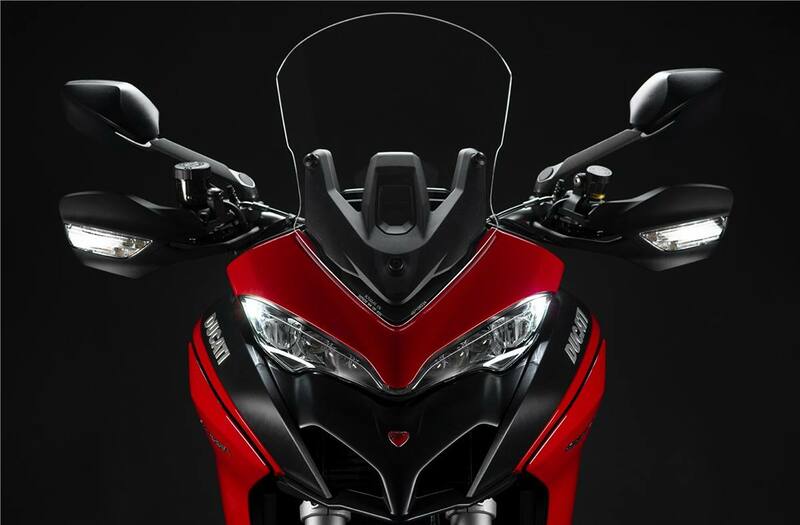 Standard equipment: Riding Mode, ABS Cornering Bosch, DTC, DCL, VHC, DSS Evo, DQS, Cruise control, Hands-Free, Backlit handlebar switches, 5" TFT colour display, Full LED headlight, Self cancelling turn indicators. Front Wheel: Tubeless spoked wheel in light alloy 3.0" x 19"
Rear Wheel: Tubeless spoked wheel in light alloy 4.5" x 17"